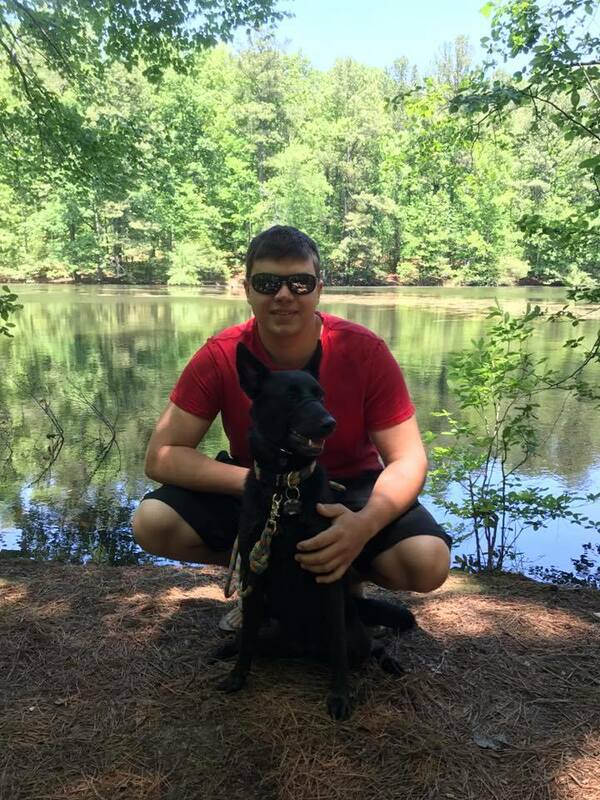 Our Facility and Staff — Dive Georgia - Atlanta Metro Scuba, Snorkel, Travel, and Training! Gone are the days of a guy that works in a dark back area magically servicing your regulator! Our technician facility is second to none with all the latest tools, using only authorized parts and service kits. We use only O2 compatible lubricants, and have specialized dust control mitigation in place, in a bright-white lit area! We are a Suunto Service Center and a PSI-PCI Premier Facility! Did you know that if you or a dealer that isn't an authorized service center changes your Suunto computer battery that your warranty is void? Make sure to protect your investment with us! Dive Georgia is an Authorized Suunto Level 1 Service Center for all your Suunto servicing needs! One of only 30 Suunto Service Centers nationwide! When it comes time for a battery change or having problems with your Suunto unit then make sure to bring it to an Authorized Suunto Service Center to protect your investment and ensure your safety. 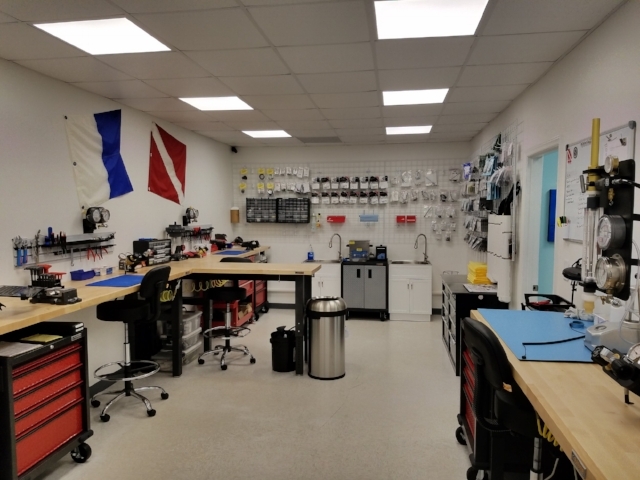 With in house manufacturer trained Suunto technicians, we are one of the few unique facilities that are trained, authorized, and have the latest specialized equipment to ensure your Suunto Dive Computers receive the proper care. 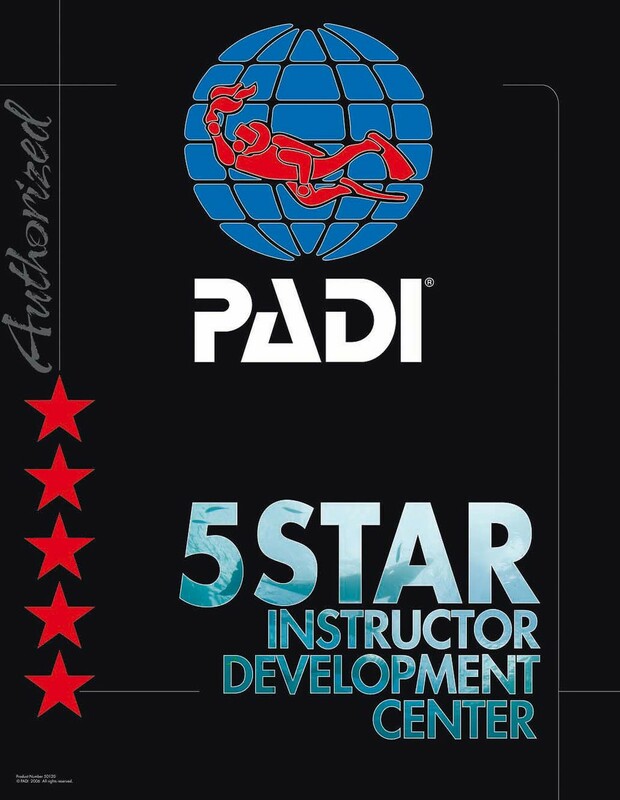 Dive Georgia is the only dive center that has PSI-PCI cylinder Instructor Trainers on staff! Your Scuba Cylinder is one of the most important components of your breathing air system as it provides the gas you breathe from! You want to ensure that your cylinder is safe, meets all manufacturer standards, and doesn't contaminate your gas supply! Dive Georgia doesn't just have one staff member, on staff we have FIVE fully trained and current PSI-PCI Inspectors and TWO of them are PSI-PCI Instructors! 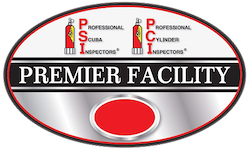 Make sure when getting your cylinders inspected that it's done at a PSI-PCI Premier Facility where the inspectors get trained! 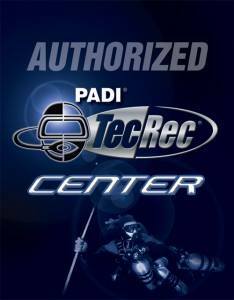 Commonly Serviced: Aqualung, Atomic, USDivers, Apeks, Cressi, Dive Rite, Genesis, Mares, Oceanic, Hollis, OTS Guardian, AGA Full Face Masks, Scubapro, SeaQuest, Sherwood, SubGear, XS Scuba, Zeagle, Suunto, DUI, Mares, and some other brands not listed above. A list of the manufacturers whose equipment we cannot service includes: Arm-Sea, Apollo, Beuchat, Dacor prior to 1998, Oceanways, OMS regulators, Parkway, Pro Sub, Sea Elite, Techni-Sub, Tekna, US Tech, Z 90, Dacor Pacer series, and other years or models where authorized parts are no longer available.